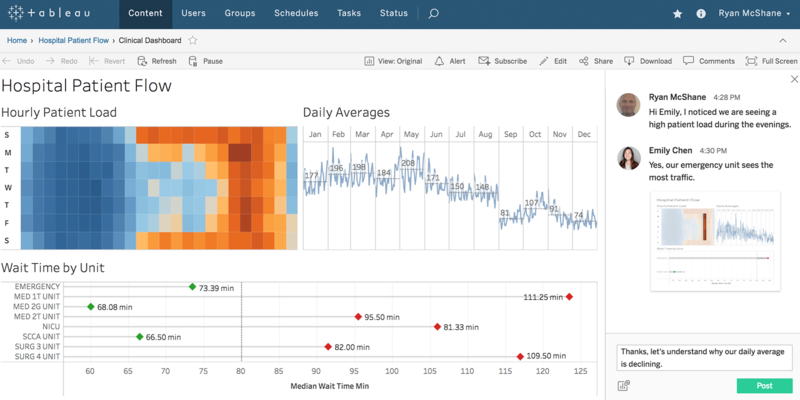 The new DataSelf Analytics interface – powered by Tableau 10.4 – lets business people stay in the flow with their data. Users work smarter and faster than ever. Ask your questions, get your answers, and discover questions you didn’t even know you had. Below, you’ll see a sample of valuable new features. Make your dashboards shine with precise control over borders, shading, and padding for any item. And, easily configure spacing properties on device layouts independently of one another. Bring a new level of collaboration with real time conversations around your data. Work with your colleagues, discuss inflection points, even attach a viz snapshot to bring attention to a specific detail or view. Do more from the browser. You can now edit text objects, axes, filters, aliases, groups, lines, and headers with new dialogues. We’ve built ten times the number of cities into Tableau, and there is no longer a population threshold for cities in the US. Geocoding performance has also been improved. Have the newest version of Tableau Desktop, but Tableau Server isn’t upgraded yet? Now you can publish a compatible file from Tableau Desktop (down to Tableau 10.2). 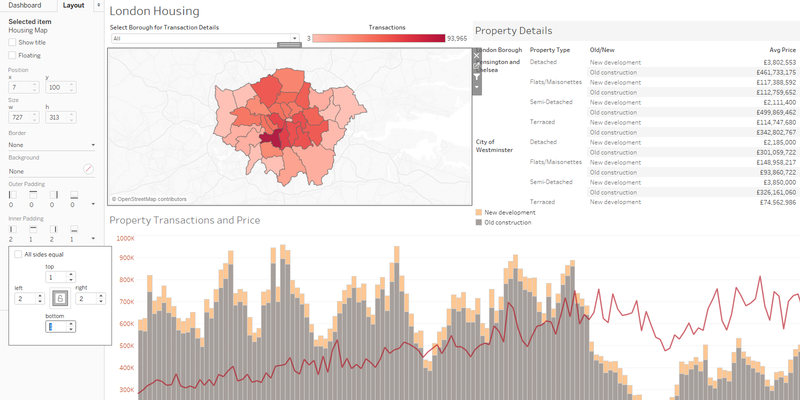 Want to use Tableau Desktop for Windows on high-DPI displays? Starting in Tableau 10.4, the interface and vizzes will scale with DPI changes. Let more people interact with your viz. Single value and multi value dropdown filters on the web now support keyboard commands and screen readers. These filters are fully WCAG 2.0 conformant. 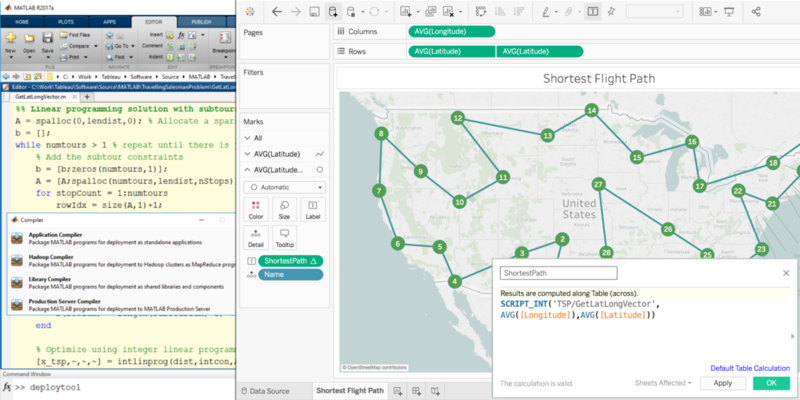 Tableau now supports linear geometries in addition to polygon and point shapefiles. 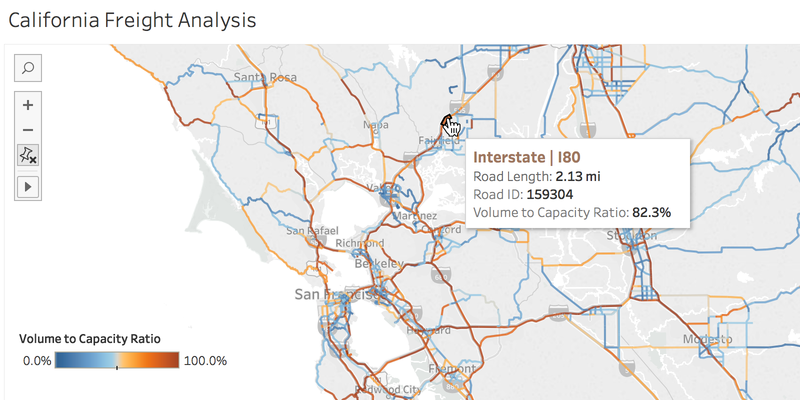 Easily visualize networks including roads and transportation routes with all the power of Tableau analytics. Join, filter, and visualize all your spatial file data. Use deployed MATLAB models in Tableau for predictive insights, or pre-process your data using MATLAB and persist into a Tableau data extract for further analysis. Start your analysis faster with the right data. 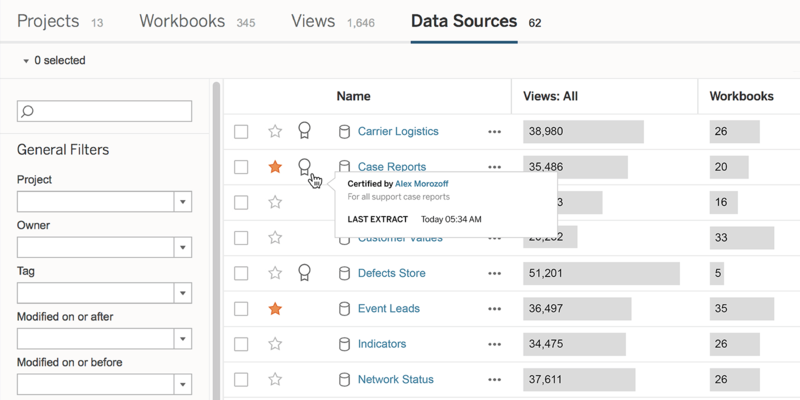 Tableau uses machine learning to recommend existing data sources based on your organization’s data source usage metrics. It’s now easier to find the right data source for your analysis. Bring a new level of governance to your analytics. Mark data sources as certified, so everyone knows they are connecting to the right data. These data sources get preference in the UI, search, and recommendations. 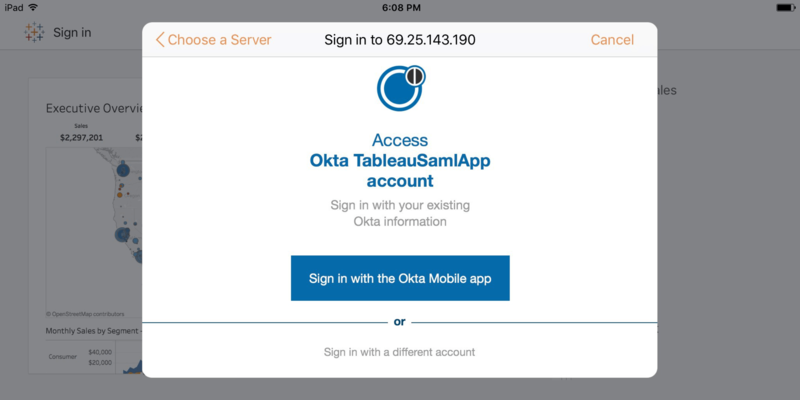 Tableau Mobile now supports Okta Mobile Connect, providing a more seamless sign-on experience for users using mobile single sign-on. 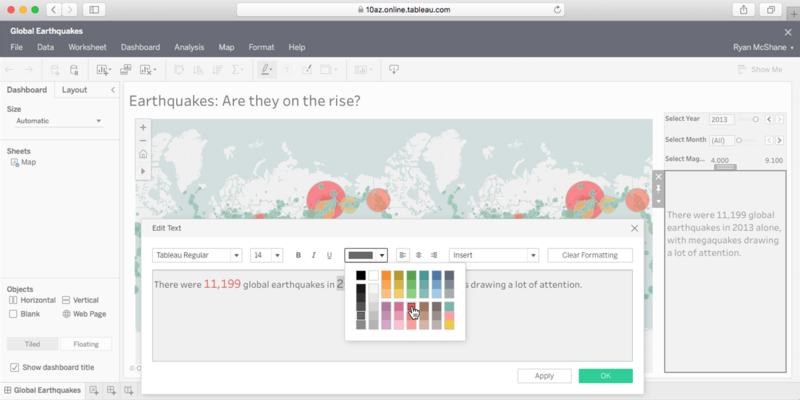 Quickly see the results as you create and interact with your viz. 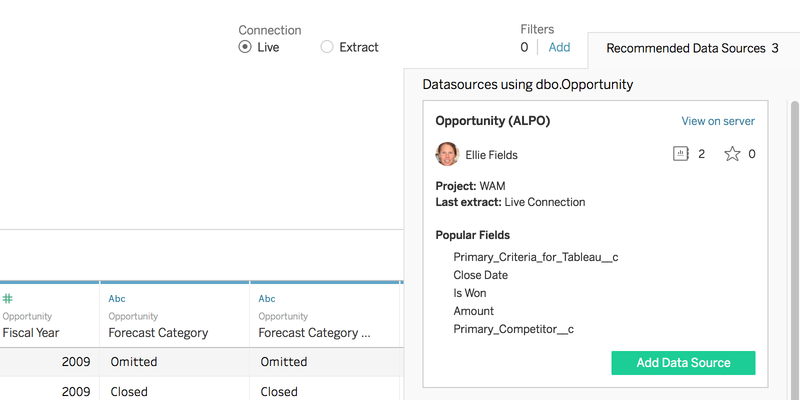 You can now use extracts with SAP BW for better analytical performance. Now your WDCs can import spatial data by connecting directly to GeoJSON including points, lines, and polygons. Things are definitely shaping up. Connect to Presto securely, thanks to version 0.167 compatibility using LDAP. Tableau fits seamlessly into your data virtualization strategy. 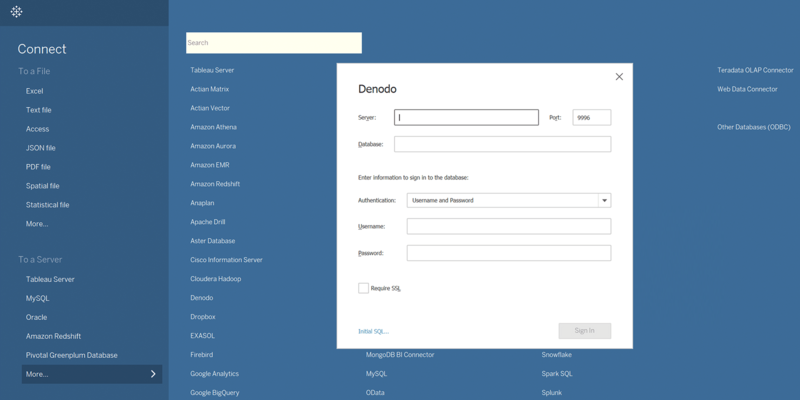 With the new Denodo connector you can instantly connect to data that you’ve virtualized with Denodo.